One of our clients, City of Lethbridge, has been selected by Microsoft to be featured in an upcoming webinar hosted by the IOUG. We invite you to join. You can register here. The webinar takes place on Wednesday, January 8, 2014 from 11:00 AM – 12:00 PM EST. If your organization is running Oracle applications then you won’t want to miss it, especially if you’re also using SharePoint either for Team Sites or as an enterprise intranet portal. The Microsoft SharePoint team and City of Lethbridge, a PeopleSoft and JD Edwards customer, talk about the benefits of connecting Oracle applications with SharePoint to create business-critical solutions that improve business processes, boost team productivity, and increase return-on-investment. Provide an enterprise-level, unified search experience across all structured and unstructured content siloes. The City of Lethbridge will share with you how they extended their PeopleSoft system to new users to provide easy, company-wide access to their HR system while delivering a richer user experience. The webinar is over, but below is a recording. Bill Baer, Sr. Product Marketing Manager (Line of Business) Microsoft, Cem Aykan, Sr. Product Marketing Manager (Enterprise Search) Microsoft & Cliff Shigemi Enterprise Systems Manager, City of Lethbridge will be presenting. Bill Baer is a Senior Product Marketing Manager and Microsoft Certified Master for SharePoint in the SharePoint product group in Redmond, Washington; having previously worked at Hewlett-Packard Bill Baer has a proven background in infrastructure engineering and enterprise deployments of SharePoint Products and Technologies. While at Hewlett-Packard Bill Baer was awarded the MVP award for his contributions in the Technology Solutions Group, now known as HP Enterprise Business, which encompasses server and storage hardware, technology consulting, and software sales. 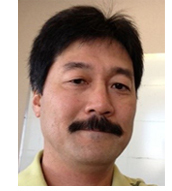 Cliff Shigemi is the Enterprise Systems Manager for the City of Lethbridge in Lethbridge, Alberta, Canada. 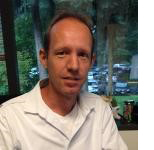 He and his team are responsible for corporate applications and databases including Peoplesoft, JD Edwards and Sharepoint as well as other business unit applications. Support, development, integration and stability are core objectives as Cliff and his team work to ensure that the City has secure and sustainable information systems. Cem Aykan has been active in the field from the early days of FAST and has joined Microsoft with the FAST Search acquisition back in 2008. Since then, has worked on a range of search projects and initiatives and currently is the Senior Product Manager for Enterprise Search in the SharePoint team.